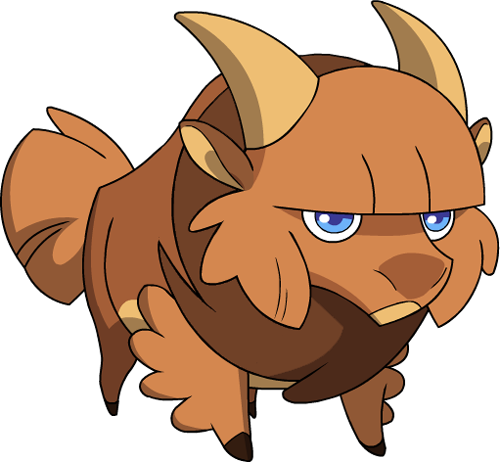 This Mino spends its days grazing in the plains and smashing rocks. Its long bangs help keep the sun out of its eyes. Flings rocks into the air, striking the target with brutal force. Increases Bofalo's Defense for every Bofalo in the party.